Gevenalle HYDRAULIC: Getting Rolling- by Guitar Ted While Winter goes in starts and fits here in the Mid-West it has rendered the gravel in this part of the world in an icy mantle. Unfortunately that has hampered any real world testing so far, but there is some feedback to be given and technical notes to share, So, let’s get on with that part, at least, and hopefully there will be some clear gravel to test these components on soon. If you missed the introductory post, you can go back and read that by clicking HERE. The Gevenalle HYDRAULIC parts as installed on the Raleigh Tamland Two. 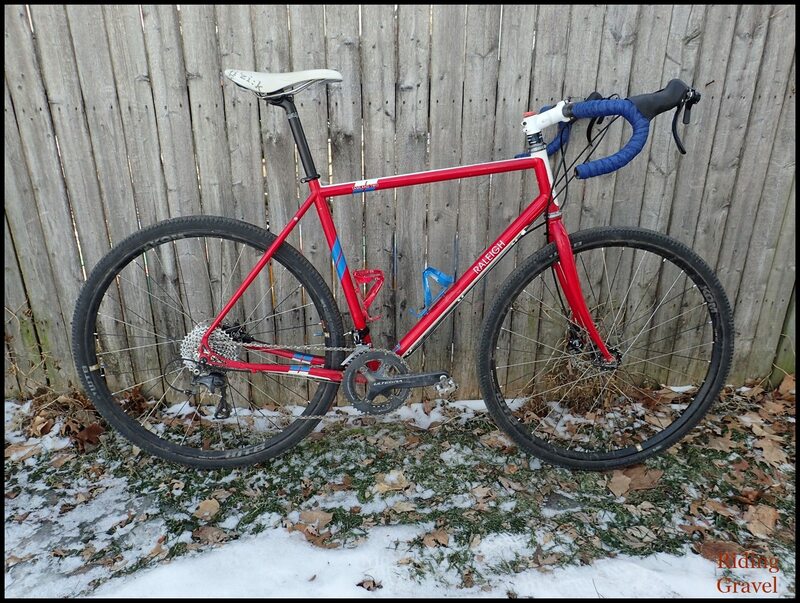 Oh….and the BURD front derailleur is there as well. The Gevenalle HYDRAULIC set up is based upon the excellent TRP Hylex brakes. They are a direct retrofit for the brakes I was using, which ironically enough were TRP Spyre mechanical brakes. The rear rotor is smaller with the Hylex/Gevenalle set up, as the prevailing thought is that 140mm rear rotors provide more than enough leverage in cyclo cross events where traction is sparse anyway. I would also venture to say that this is true on many gravel roads as well. So this is not really a concern unless the bicycle is to be used on paved roads on long descents where heat build up might become a concern. The hydraulic brake lines are neatly tucked up under the hoods and the entire master cylinder assembly is removable so the levers can be replaced separately. The system as sent by Gevenalle comes out of the box with front and rear brakes pre-bled and assembled to the levers. It is worth noting that the entire master cylinder assembly is a separate part of the lever so the lever can be serviced in the event of damage due to crashing or other failure. The master cylinder is pretty safe from damage. Gevenalle provides this service for about $74.00 per lever plus shipping. 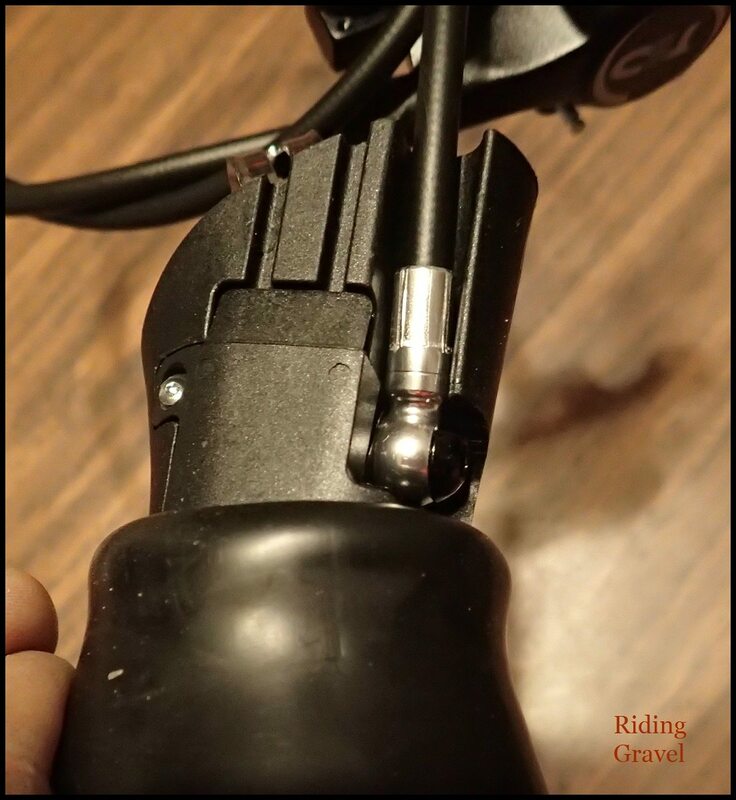 That seems reasonable enough and likely a lot less of a hit to the pocketbook should one have to replace a crashed damaged Shimano hydraulic lever. Besides the lever, hose, and caliper/pad assembly, you also get the Gevenalle shifter set up, which in our case is Shimano road compatible 11 speed. There is also an 11 speed DynaSys derailleur option for those who may want to run a mountain clutch style derailleur. You also get the rotors and mounting hardware in the package. 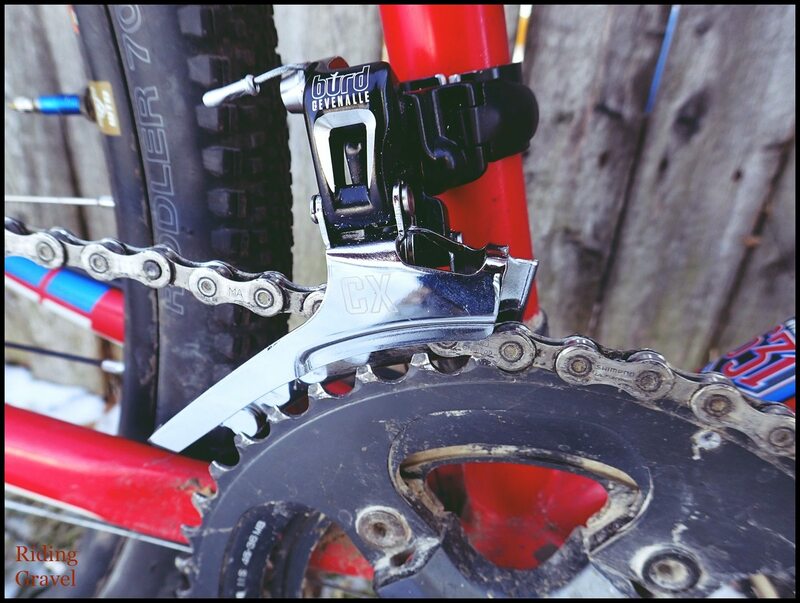 We also got the BURD front derailleur, which in our case was a band clamp style. It is also offered in a braze on style as well. Since our test mule has a skinny, steel tube for a seat tube, there was an issue with the supplied clamp shim not being small enough. However; some ingenuity on this end solved that problem, so the front derailleur is on there. Gevenalle optimized the function of this derailleur to work with a 46T/36T combination, but the Goats at Gevenalle do say that it should function with 50/34 road compact crank set ups also. This front derailleur also works well with 10spd STI shifters, but we are not going in that direction with this review. The BURD front derailleur installed easily once I fashioned a shim to correctly fit it to the skinny seat tube on our test mule. Obviously, the Gevenalle HYDRAULIC system saves 100 grams over what I was using, and let’s not forget that the rear rotor is a 140mm versus the 160mm that I had on there. What about the BURD front derailleur? Well, that came out to be lighter as well weighing in at a paltry 68 grams versus the 11 speed Ultegra front derailleur at 110 grams. The overall weight savings is appreciated, but the function has to be there along with the weight advantages, or the loss of grams is meaningless. Fortunately that is not an issue so far, as a short test ride or two in the neighborhood shows that there is great reason to believe this HYDRAULIC system and the BURD front derailleur are going to pan out well. The hoods are a bit longer on the HYDRAULIC system which may require a shorter stem. True one finger braking is the benefit here though. There is a definite ergonomic difference here with regard to the hoods and their length that needs to be accounted for. I noted straight away that the reach to the hoods is somewhat increased by the swap from the Ultegra 11 speed STI levers. Gevenalle suggests that if this is an issue that a shorter stem be installed. I may end up going that route, but I wanted to get in a longer ride to confirm this, then I’ll decide. Anyone with hard numbers from a fitting may want to take note here and be re-fitted if you make a swap to the HYDRAULIC system. The shift levers have a light, easy to move feel and snicked off the shifts easily on my basic test ride to see if I had everything dialed in correctly. Obviously, the left shifter is a friction style, but that doesn’t mean it is a step “backward” in technology. With “infinite trim” capabilities and an easy throw, it could actually be seen as an upgrade when you factor in the complications some modern front derailleurs have introduced in recent years. So Far…… The Gevenalle HYDRAULIC system and BURD front derailleur offer a lightweight, easy to use and maintain set up for severe conditions usage. True “one finger” braking seems a reality here, and the front derailleur is simplicity and functionality at its finest. Yes, those brake hoods are a bit longer, which may necessitate a stem change, but otherwise, so far, so good. Well, all we have to do now is wait for some clearer roads and hopefully warmer temperatures. When those things happen and I get some longer rides in you can expect an update here. 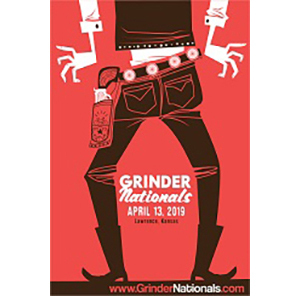 Stay tuned….. NOTE: Gevenalle sent the BURD front derailleur and HYDRAULIC levers over to RidingGravel.com at no charge for test/review.We are not being paid nor bribed for this review and we will strive to give our honest thoughts and opinions throughout. I have TRP’s Hylex on my single speed. Definitely want to get the retrofit levers Genevalle offers. With that I’d be able to quickly throw gears on my bike (at least 1x) without messing with the bars. What are your thoughts on these shifters on a cowchipper or woodchipper bar? Looks like it would be imposable to shift from the drops. Scott: That is correct, it is impossible to shift from the drops. The only way you are going to get shifting from the hoods and the drops is with a “brifter”. I’m of the opinion that a very high percentage of people never use the drops at all, and of those who do, the time that they spend in the drops is minuscule to where there hands are most of the time when riding. I base this opinion off of nearly 20 years of working on road bikes. All one has to do to realize this is to look at how many folks set up their drop bars and levers. You mentioned Woodchippers. Woodchippers are the best example of this phenomenon where folks never use the drops. Almost every time I see Woodchippers on a bicycle the drops are pointed downward at such a severe angle one would be greatly challenged to shift a brifter from that position, much less worrying about not being able to use a Gevenalle shifter. In fact, I see a lot of Woodchippers set up in a manner in which I cannot imagine even using the drops. But that said, it cannot be denied that the primary position most riders use is the hoods, so it makes more sense to my mind to opt for having shifters there than it does at the bar end, if you are going for these simpler, durable, less expensive type of shifters. If money is no object, or if these simpler, more durable traits do not resonate with you or others, then none of the issues with regard to shifting from the drops matters. You get STI/SRAM brifters and be done with it, right? For those who want to use the same shifters for years, or have a nearly crash-proof, dirt-proofed shifter, then Gevenalle is the bees knees. Their product will out perform a brifter in the most severe conditions, they won’t break off cable ends, and the shifting feel remains at a constant, versus SRAM and Shimano integrated shifter/brake levers. What the point is here is that there are benefits to a Gevenalle set up that make shifting only from the hoods acceptable for many folks. If someone remains unconvinced, then they should use traditional shifter/brake levers, along with all that entails. Thanks Ted. I am currently running Cowchipper bars but may go back to cowbells. 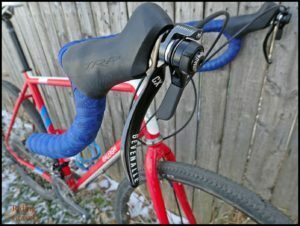 I like the idea behind these shifters and currently have one bike with mechanical disc brakes and am ready to upgrade. Riding the Pisgah forest with Mech. brakes is not enjoyable. I look forward to your complete review.